Installing a roof rack to your car enables you to spread your luggage without the need of cramming it all in the back. There is a whole range of styles available to fit cars, large SUV’s and trucks, which can be installed and removed in minutes. Prices of roof racks can vary massively with some being basic and costing very little but others designed to cut through the air for limited drag. 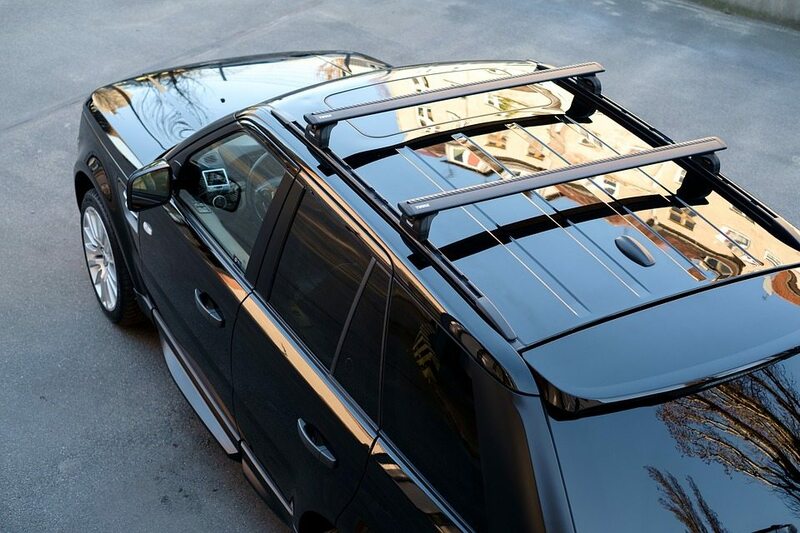 Rhino Rack, Thule and Yakima are the main manufacturers of high end roof racks. Roof racks can be used in a variety of applications from securing a rooftop cargo box to transporting your bikes with a roof mounted bike rack. It’s also great for transporting large and awkward objects such as furniture, kayaks and much more. They are commonly used on regular cars and SUV’s but if you have a truck bed cover installed, you are able to easily mount them to your truck that way. If you are only planning to use a roof rack system once a year, the budget recommendations are ideal. However for those that will be using them on a regular basis, the more premium examples that have a higher load capacity and disturbs the airflow better are ideal. Below is a list of the best roof racks that improve aerodynamics and noise diffusion whilst driving. Thule is a premium manufacturer of most things that connects to the roof of your car and even though the Aeroblade model is expensive, its also highly popular, which is a good sign of high quality roof racks. Thule offer the Aeroblade with 4 different bar lengths that include 43, 47, 53 and 60 inches, which is more than enough choice to fit the majority of vehicles. Thule also provide a limited lifetime warranty for peace of mind with these roof racks. Heavy duty BoxBeam that can withstand up to 800 LBS of force. Overall, the Thule Aeroblade are the best roof racks you can buy with the only drawback being the cost. However, if you will be using these everyday and want a rack system that is going to last many years, this is the one to get. The direct competitor to the Thule Roof Rack System is the Yakima Whispbar that also comes with a limited lifetime warranty. With a choice of 25 different configurations of the Yakima Whispbar, you will be able to find one suitable for your vehicle. These Yakima roof racks are rated at carrying 165 LBS and are very easy to install with a supplied fitting kit. An integrated SKS locking system is also included to secure the roof racks to your vehicle. Yakima have focused on reducing the noise and air drag, which they claim the Whispbar does with a drag reduction of up to 70%. This is thanks to the optimized aerodynamic profile that reduces the size of the surface the air has to hit. Overall, the Whispbar model by Yakima is highly rated for being a quiet roof rack system but the lack of load capacity may be an issue. However, that being said it is much cheaper than the Thule alternatives with the inclusion of locks. For those looking for universal roof bars that fit a range of cars (i.e. you may put the roof bars on different cars) then these Universal Aluminum Locking Roof Cargo Bars are ideal. They will fit roof side rails that are up to 50 inches apart. They are one of the lightest roof racks available as they are constructed of aluminum but they do still provide a load capacity of 150 LBS. In terms of security, locks are included with two keys, which makes these roof racks excellent value for money. Due to the lower price, these roof racks will not be as quiet as the Thule and Yakima alternatives but overall, they are the best universal roof racks that will fit any car. Cheap roof racks may seem like a bad idea but CargoLoc offer a 2 piece aluminum roof rack system to suit those on a low budget. They are the cheapest roof rack within this article and also the most popular and available as a 52 or 60 inch cross bar. Considering the roof racks have a load capacity of 150 LBS, constructed of aluminum and include a keyed locking mechanism, they are excellent value for money. The CargoLoc roof rack system will fit the majority of vehicles with raised side rails with a maximum gap of 46 inches (for the 52 inch cross bars). They are fully adjustable with a simple clamp that adjusts to attach to the existing side rails. For the price, no other roof racks come close and they are built to a high standard considering the budget price. The SportRack roof rack system is constructed of steel and includes everything you need to install the roof rack to your car. This includes load bars, hooks, locks and all the hardware, which makes installation far easier. It has a fairly low load capacity of just 130 LBS but this is more than enough to carry the majority of products such as rooftop cargo carriers, kayaks and more. Compared against the other roof racks within this article, this SportRack seems too expensive considering the specification and features. It is still popular but this may be due to people purchasing the SportRack cargo box (which is very popular) and sticking with the brand for simplicity. Installing roof racks to your vehicle makes them even more practical than they already are. Once installed correctly, you can add multiple products to it such as bike racks, roof cargo carriers and more. They also make moving furniture and other large objects easier as you are able to tie them down using the rack. As you would expect, the roof rack plays a critical part when transporting items on your roof. Below is a detailed buying guide on all the factors that you should consider before purchasing the first roof rack system you see. All roof racks will have a load capacity rating that ranges between 130 and 170 LBS. The higher the load quality usually reflects on the quality of the roof rack system. The Thule Aeroblade is the most durable out of all the roof racks reviewed within this article as its been tested to withstand 800 LBS of force, which is very impressive. Overloading your roof racks with more weight than the stated load capacity could result in the bars actually bending and becoming unsafe for use. One of the most important factors is of course the aerodynamics. A low profile roof rack that is designed to cut through the air with minimal drag will be quiet and even lower the reduction of your fuel economy. The noise that roof racks make at speed greater than 40 MPH can be very irritating and they are best described as a loud whistle. Paying the extra for a high end roof rack that is designed to reduce noise is definitely a worthwhile investment. If you want the best roof rack for a Prius you will want to choose one with minimal drag because the Prius itself has been designed that way. Installing a roof rack that increases drag on a car designed to reduce drag simply makes no sense. On the flip side, Jeep owners looking for the best jeep roof rack will want heavy duty roof racks as they are more likely going to be used for heavier cargo. If you are parked up and a thief spots that your roof rack is not locked, you may come back to find that they are gone along with the cargo on top of it. This is how the majority of kayaks, cargo boxes, bikes and other expensive products are stolen. 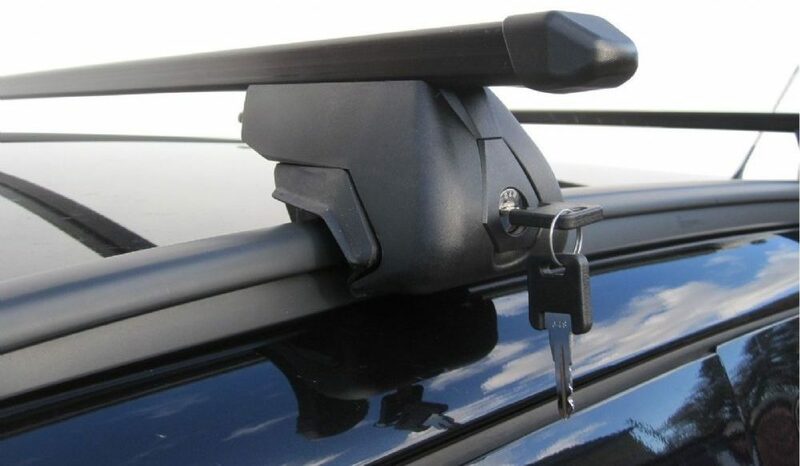 Your roof rack should be secured with a keyed lock and even if you have fixing points or racks that go inside the door jambs, it is still worth locking it with a key. Not all roof racks are supplied with their own locks, so be sure to read whether they do and if not buy them as an optional extra. For peace of mind, they are a worthwhile investment and ensure your goods are not stolen. 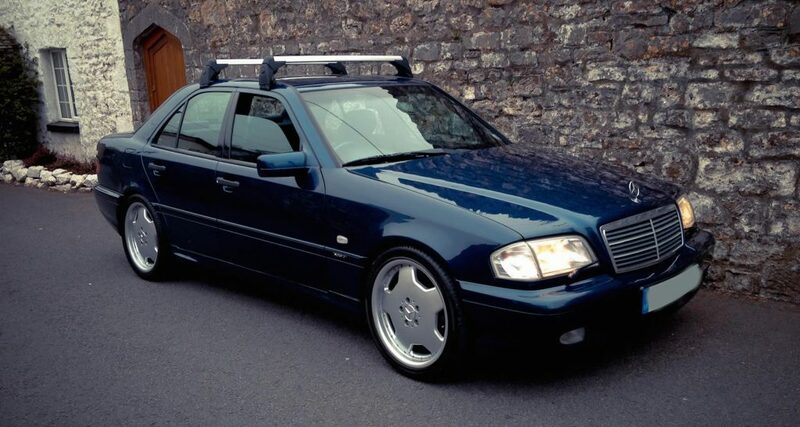 The main benefit of choosing a universal roof rack is that it can be taken off and used on a range of other cars. Although many say that they are universal, there is still a limit to the width that the adjustable clamp will be able to reach. For example, many will only span 50 inches and for this reason, if you have an abnormally wide vehicle i.e. a trunk, you may want to take some measurements before assuming that a universal roof rack will fit. Installation of a roof racks are fairly simple but there are many different types that attach to different location of the car, which include raised roof side rails, solid rood side rails, fix points and nothing at all. Raised roof rails are pretty standard on the majority of SUV’s and station wagons and they are side rails that are raised by as little as 1 inch to 3 inches. Solid roof rails are a more modern approach and do not have any gaps between the rail and the roof of the vehicle. Installation of a roof rack on these types of rails is the most straight forward but its vital that you lock the roof rack in place so that it cannot be stolen. Fix Points are where there is OEM fixing points on a vehicle that allow you to simply screw in the roof rack on either side of the car. Many modern small cars will not have side rails or fixing points but you are still able to install roof racks. You will need a roof rack that secures to the vehicle via a cut-out that slip between the roof and door jamb. All of the different types of roof rack installation have their own benefits but choosing between them is dependent upon your vehicle. If you want to make your vehicle more practical than it already is, simply install roof racks. From hauling your goods on a road trip to moving furniture, they are the answer to a range of applications that require moving things with your vehicle. For those that spend a lot of time driving at speeds greater than 40 MPH, we strongly recommend going for an aerodynamic roof rack that cuts out noise. The whistling noise can become seriously irritating on long journeys. The Thule Aeroblade is the best roof rack within this article but not everyone will be able to invest that amount of money to a pair of roof racks. Therefore, the Apex alternative would be the better option for those on a budget.